As a follow-up to my last post, McKinsey has just written about the advent of “on-demand marketing,” citing the Internet of Things (and, I’d argue, 3-D printing!) as one of the drivers. As you may know, I’ve been critical of the Obama Administration in the past for ignoring the Internet of Things’ potential. Maybe this report will light a fire under them! It cites some of the emerging m-medicine services that promise to both improve patient care and reduce costs such as around-the-clock mobile vital signs monitoring. I hope this report will prove the impetus for a major new emphasis on governmental applications for the IoT! Pinnocio (no h…) is the latest connectivity device for the Internet of Things, and it looks impressive. ..a mix of hardware, wireless networking, and an API that we’ve built into each board. Every Pinoccio device has a unique URL that you can view in a Web browser to monitor or actuate it. The company placed special emphasis on long battery life. The rechargeable lithium-ion battery can run for 400 days if only the MCU is running, but that drops to 28 hours if both the MCU and radio are running at full power. With the radio sleeping and the MCU running battery life is 122 hours. .. within five minutes of opening a Pinoccio package, you can have hardware pushing data to a Web page, or the Web page controlling the hardware….What you do after that is only limited by your imagination. Pinnocio was designed to be compatible with Arduino boards — Arduino tools can be used to upload software to them. 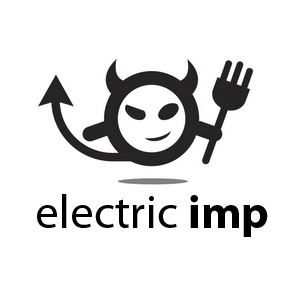 Check out the Electric Imp blog! I referred to Electric Imp in a recent post about how GE really gets what I think will be a hallmark of the Internet of Things: collaboration. After noting that they’d re-Tweeted my tweet about the post I just checked out the Electric Imp blog. They’re doing some verrry kewl stuff. Checkitout. PS: I love their goal: “Our goal is to connect all the world’s devices.” Laudable! 320 Summer Street in Boston, MA. National security, public safety and health care markets will be highlighted. networks of connected devices industries. Stephenson, Stephenson Strategies, and co-organizer of the event. one hour speaking program and then more networking. • Les Yetton, General Manager, Cosm. Welcoming remarks. collections of algorithms, data models, data feeds, applications — including IoT. operational effectiveness in environments with limited resources. the broadest possible community of users. Reducing sensors’ energy needs and meeting them efficiently and without the need for battery replacements is one of the Internet of Things’ important technological obstacles. That’s why it’s noteworthy that Sol Chip Ltd., an Israeli firm, has won the Technical Development Award at the 2013 IDTechEx Energy Harvesting & Storage and Wireless Sensor Networks Event. Its new, patented solar battery technology, the Sol-Chip Energy Harvester, integrates solar energy sources and low-power electronic devices, eliminating the need for a solar panel while providing long-lasting power for wireless sensors and mobile devices. The PV cell produces six selectable voltage levels: 0.7 volt, 1.4 volt, 2.1 volt, 2.8 volt, 4.2 volt, 8.4 volt. Applications include active RFID, security and military, agriculture, livestock sensors, and medical technology. O’Reilly has published a free e-book, “Industrial Internet,” (underwritten by GE, which, not so coincidentally, uses the industrial internet as the advertising slogan for its own involvement in the field…) about the “coming together to software and big machines.” It’s a great introduction to this crucial portion of the Internet of Things. The message of the book? “With a network connection and an open interface that masks its underlying complexity, a machine becomes a Web service, ready to be coupled to software intelligence that can ingest broad context and optimize entire systems of machines. One point that really struck me was that physical products will be able to be improved on the fly, rather than just when a new model is introduced — think of what that means, in particular, for cars, which can often last up to 15 years: it will become possible to change engine settings simply by a software upgrade transmitter via a smartphone app! “A software update might include a better algorithm for setting fuel-air mixtures that would improve fuel economy. Initiatives like OpenXC8, a Ford program that gives Android developers access to drivetrain data, portend the coming of ‘plug and play intelligence,’ in which a driver not only stocks his car with music and maps through his phone, but also provides his own software and computational power for the car’s drivetrain, updated as often as his phone. One driver might run software that adjusts the car’s driving characteristics for better fuel economy, another for sportier performance. That sort of customization might bring about a wide consumer market in machine controls. The e-book includes a chapter on the crucial issue of security, arguing that, paradoxically, it may be easier to provide security on an Internet-based network — on the premise that the Internet is constantly challenged by hackers and constantly adapts — than on a more limited network. It mentions Shodan (I’ve been seeing a lot about that one recently!) and Basecamp2 as magnets that attract those who might want to hack the Internet of Things. 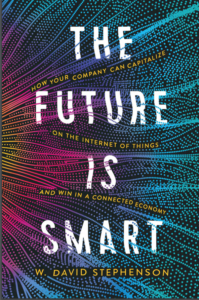 There’s also a chapter full of helpful case studies from pioneering industrial internet companies in fields including utilities, HVAC/building controls, automotive (I found that one particularly interesting), aviation, railroads (paradoxically, one of our oldest industries is among the most advanced in its use of sensors and other industrial internet technology, as I’ve reported previously), health care, and manufacturing. Any smart manager should get ideas for his or her company by reading them! 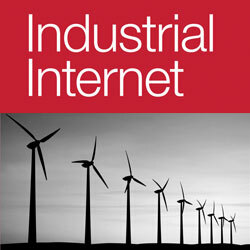 “Industrial Internet” is a must read! Download it today. I had a fascinating phone interview this week with Christina, “CK” Kerley, a brilliant marketing consultant who’s increasingly moving into the Internet of Things arena. I strongly suggest that you check out her videos. She was most interested in my comments about the management implications of the IoT. I told her that a lot of companies that still practice traditional hierarchical, top-down management won’t be able to fully capitalize on the IoT because a critical element of it that isn’t fully understood is that for the first time, everyone in a company will be able to simultaneously share near-real-time information. it will also be possible to share information simultaneously with your supply chain and customers, reducing inefficiency and increasing collaboration. I’ll guarantee you: when that happens, unprecedented innovation will result, because individuals will be empowered as never before. One company that clearly gets it is GE, which is really practicing what it preaches about the “industrial internet” (if you have access to the print edition of Time, check out their recent story about making it in America again — it features GE’s Schenectady factory manufacturing the new Durathon batteries — one of the ways it is able to compete with the Chinese is that the assembly line is laden with sensors to relay real-time information…). Yep, with the Internet of Things collaboration will be critical, and I suspect GE will head the pack!